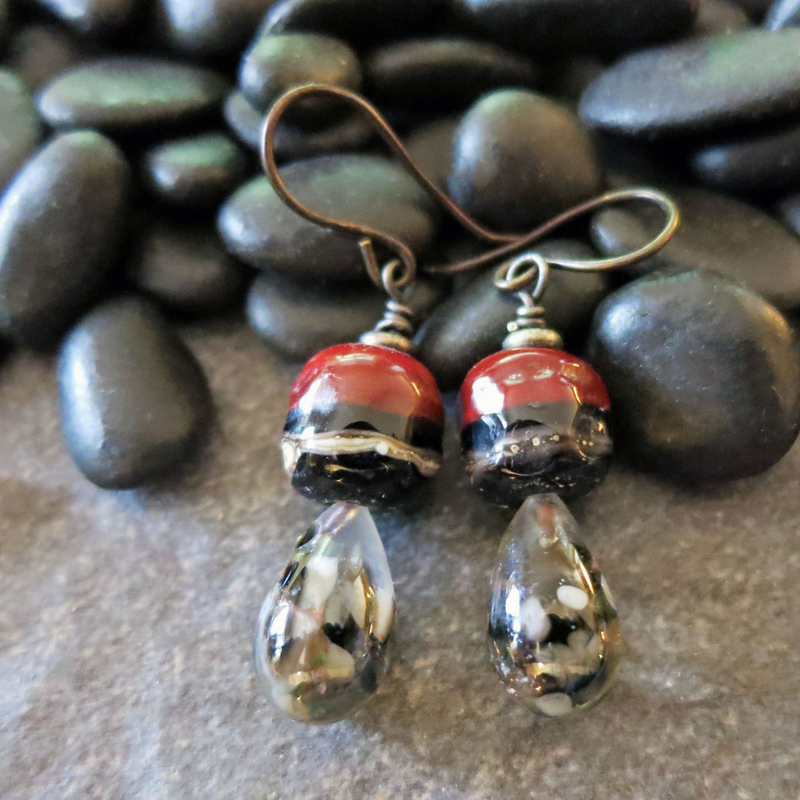 These beautiful earrings have an understated elegance that makes them a pleasure to wear. 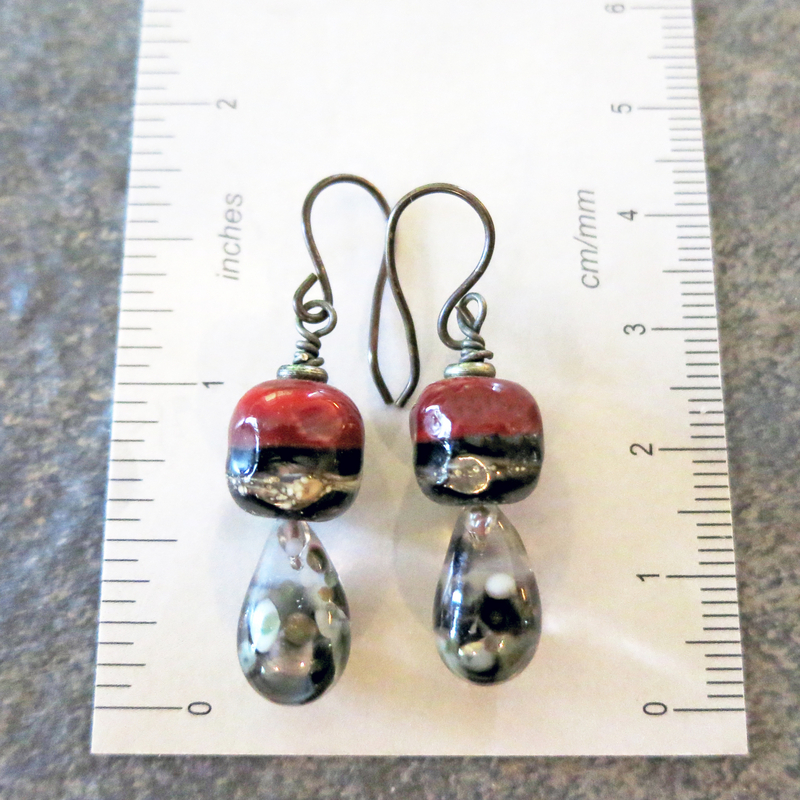 They are made from the handmade lampwork glass from two different artists, who look like they were working together to create the perfect marriage of elements. 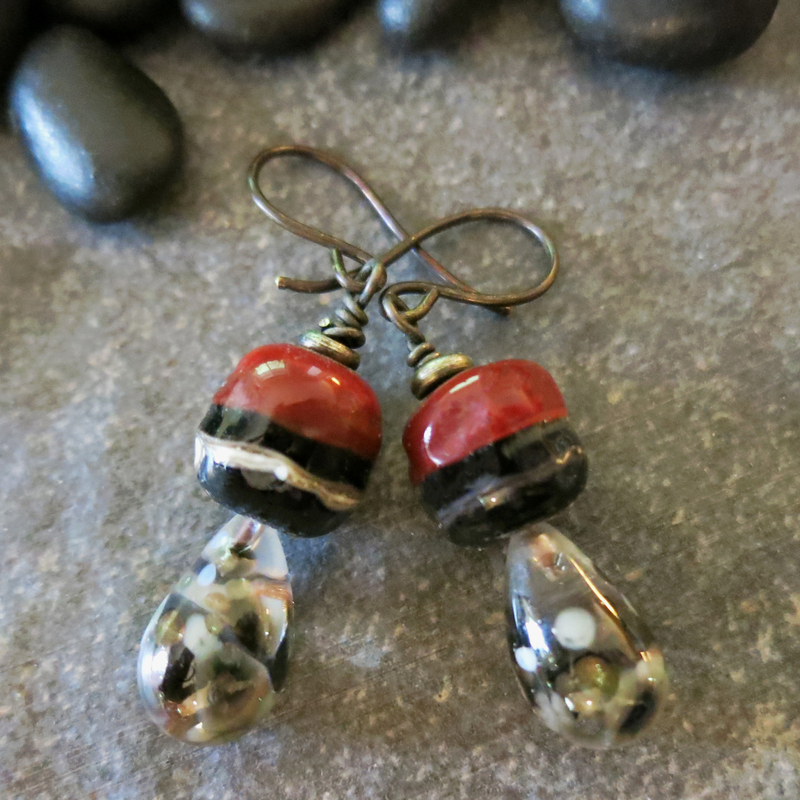 The deep red, black and creamy white, lampwork glass beads have a slightly dimpled surface, which adds interest and depth to the design. 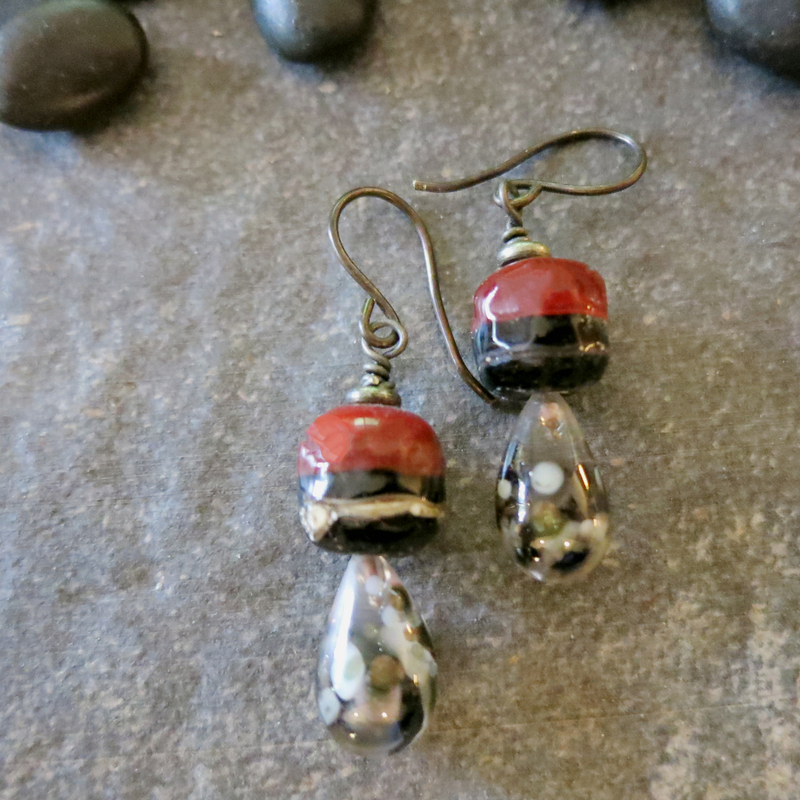 The speckled glass tear drops at the bottom have subtle areas of gray, white and black. 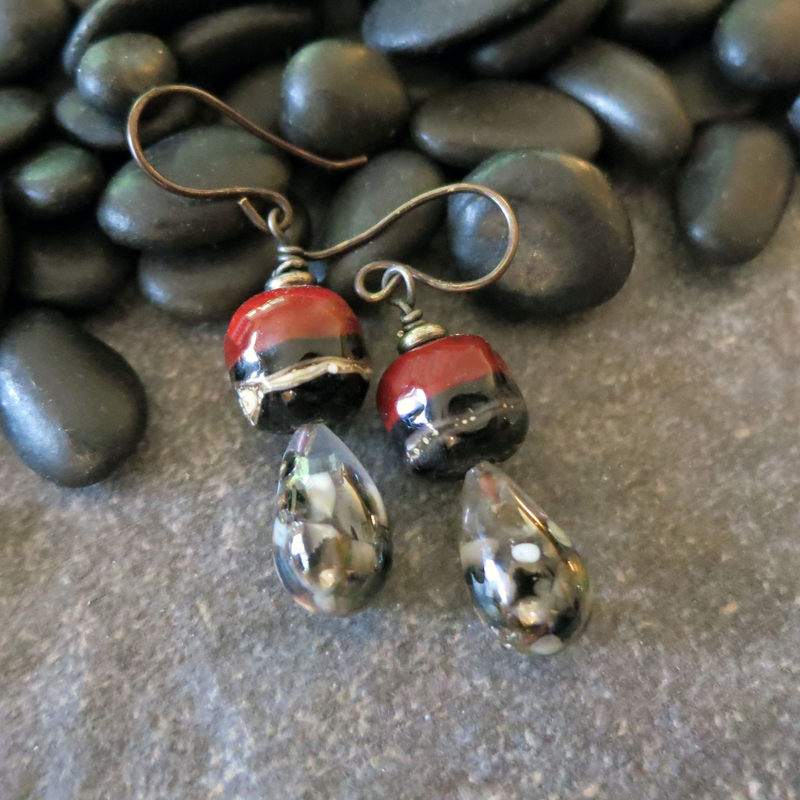 When I named these earrings, the teardrops made me think of early evening, as the lights dim. The deep red made me think of a rich, full bodied merlot. Hence the name "Evening Merlot". May you "drink in" their beauty. See the last photo for the size of these earring.